This article is about the chemical element. 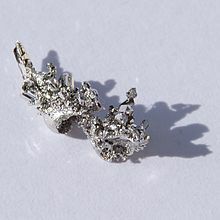 For other uses, see Palladium (disambiguation). Ore deposits of palladium and other PGMs are rare. The most extensive deposits have been found in the norite belt of the Bushveld Igneous Complex covering the Transvaal Basin in South Africa; the Stillwater Complex in Montana, United States; the Sudbury Basin and Thunder Bay District of Ontario, Canada; and the Norilsk Complex in Russia. Recycling is also a source, mostly from scrapped catalytic converters. The numerous applications and limited supply sources result in considerable investment interest.